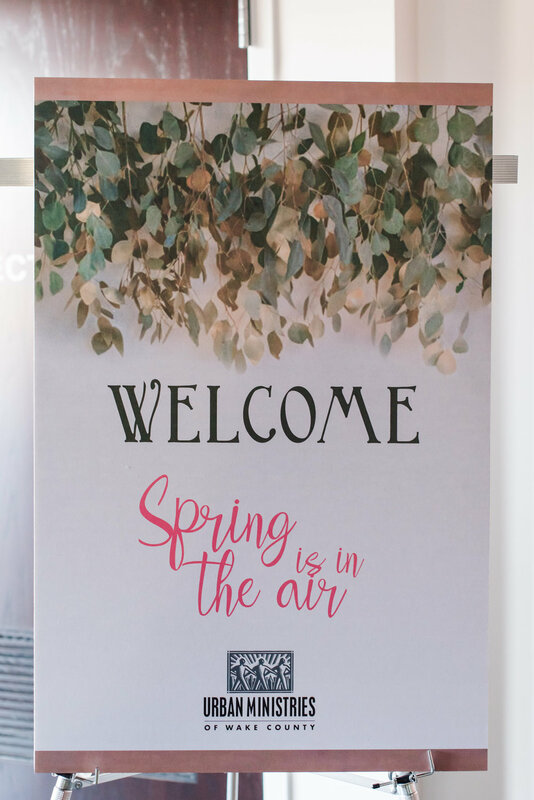 Urban Ministries of Wake County’s Annual Spring Fling was held on April 12, 2018 at The Fairview Raleigh on a beautiful spring evening. 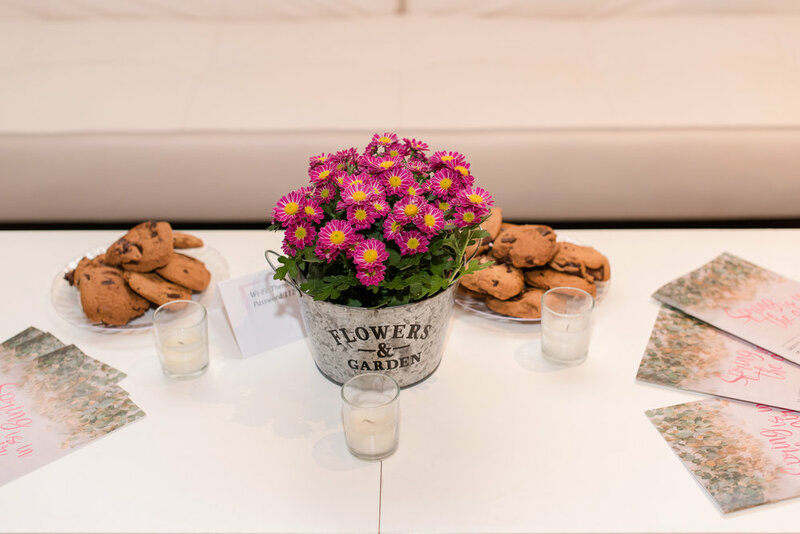 Guests entered the room to pick up their nametag and were drawn to the center of the room and automatically felt like “Spring is in the Air”, the theme of the night. 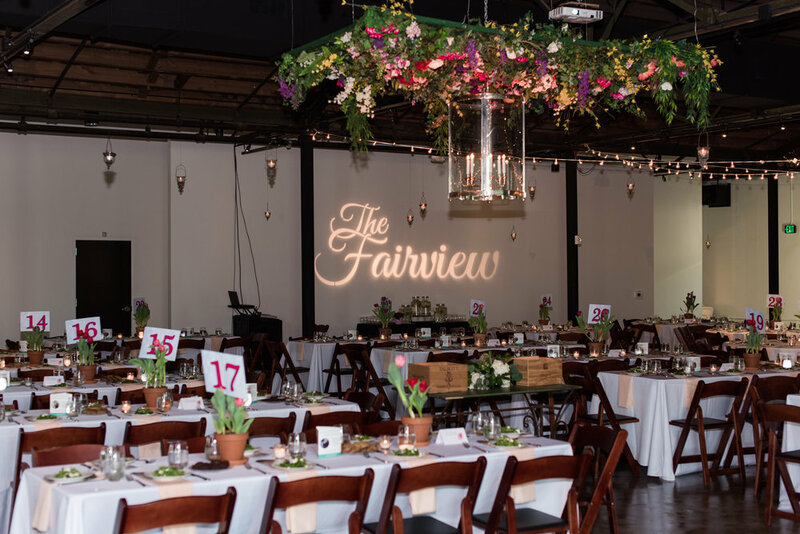 The focal point of the room was beautiful suspended flowers with a carriage house chandelier coming through the middle. 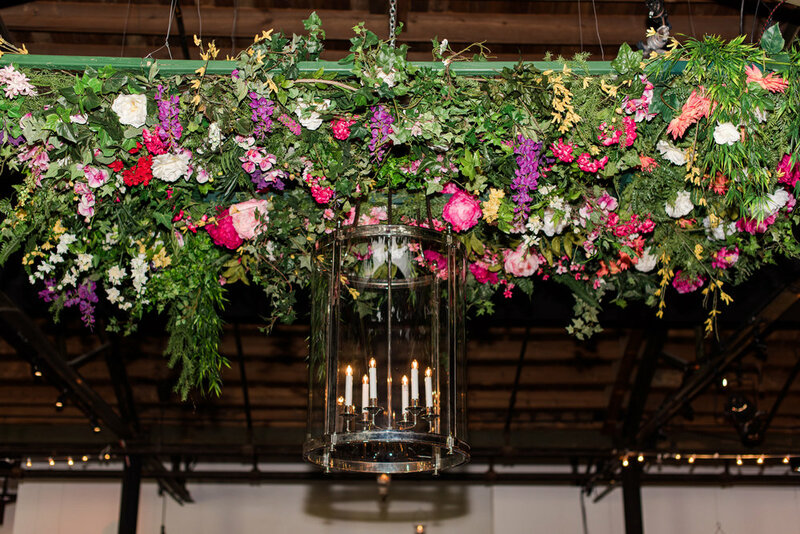 All the guests were chatting about how stunning the suspended flowers were! They quickly made their way to the corner bar which kept the line moving so no one had to wait for a cocktail while enjoying music from Andy Hawk Trio playing soft jazz in the background. 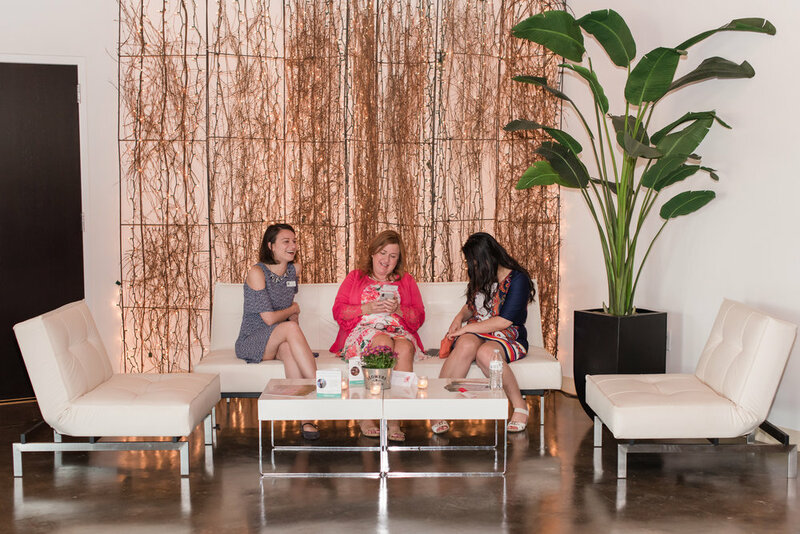 During cocktail hour, they could browse the more than 60 fabulous auction items with tables decorated with palm leaves, barrels, stands and more or play a game of Plinko to win prizes. 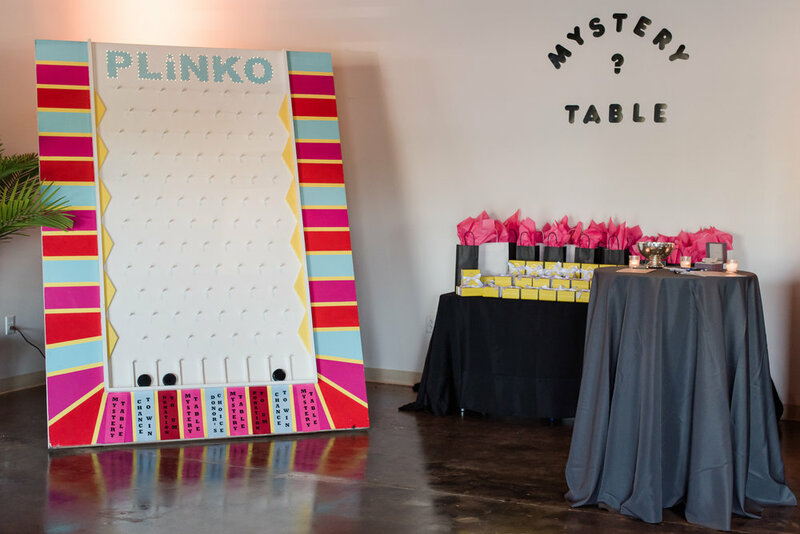 If you were lucky, which most were, they went to the mystery table to secure a prize; gift cards to restaurants, jewelry, wine and beer were a few of the fun items won. The top prize, $1,000 diamond hoops from Diamonds Direct!! Each table was dressed in a crisp white linen, cantaloupe napkins and colorful tulips in clay pots. The combination of round tables and rectangle tables made the room feel extra-large. There were lounge areas to sit and catch up with your friends. The couches, chairs and end tables made you feel as if you were at home! All the guests were so generous!! 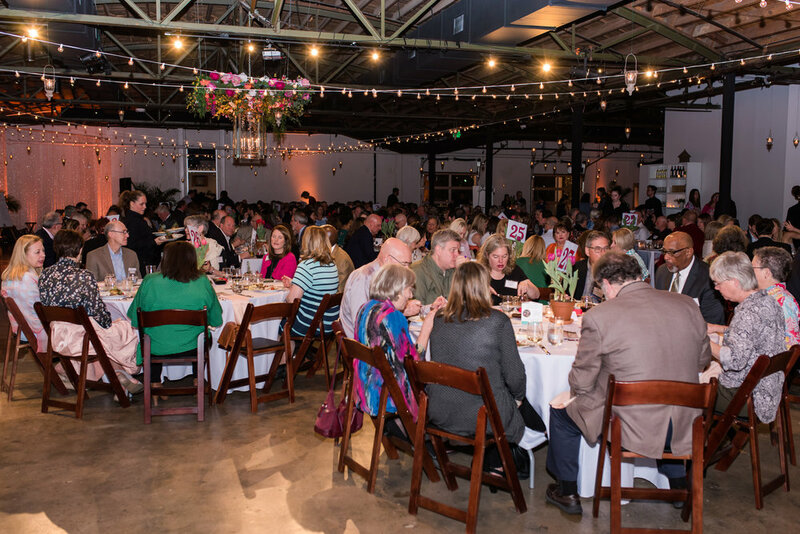 The auction completely sold out and Urban Ministries raised more than $140,000 to help those who are hungry, homeless and in need of health care. We can’t say enough about giving back and for us, this evening was a special night!